How much do we love you guys? We love you so much that–as a special holiday treat–we took on the worst film of 2010 for you. You’re welcome. Meanwhile, Stuart conducts the sound effects train, Elliott reveals Mark Twain’s saucy sideline, Dan gets shut out of the kissing booth, and the whole gang constructs a bizarre scenario about Bryce Dallas Howard. 0:32 – 33:37 – How much air could an airbender bend if an airbender was The Last Airbender? The answer is surprisingly dull. 54:59 – 58:46 – The sad bastards recommend. 58:47 – 59:26 – Goodbyes, theme, and outtakes. 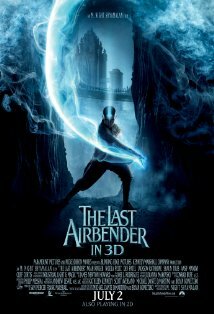 Wikpedia synopsis of The Last Airbender. The Bryce Dallas Howard discussion–and especially “Gelocto”–was so great, I can’t yet process that it actually happened. Fantastic episode, gents. Nice episode, considering that you were basically building it out of nothing with that movie. Oh, and I sound much more stupid compared to how Dan read my letter, so no worries there. It’s impossible for anyone who has only seen this dreadful movie to imagine just how amazing the show is. It really is a masterpiece of character, humour, emotion and incredibly inventive action sequences. None of which exist in this latest pile of Shyamacrap.